NEW for Spring / Summer 2019! 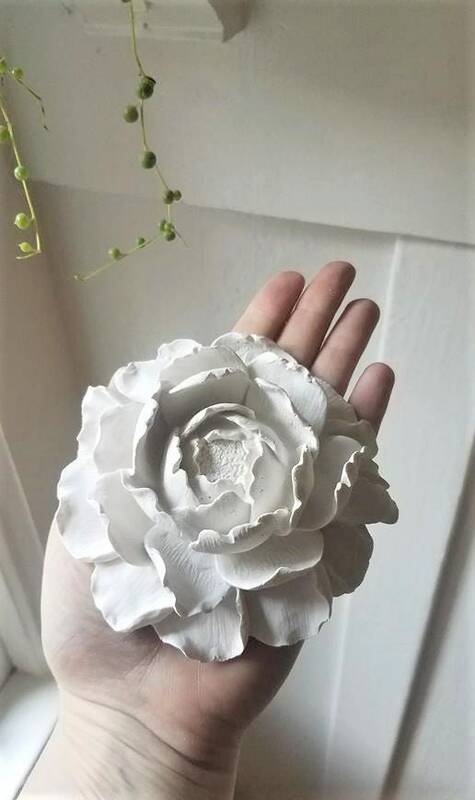 I am in love with this flower. 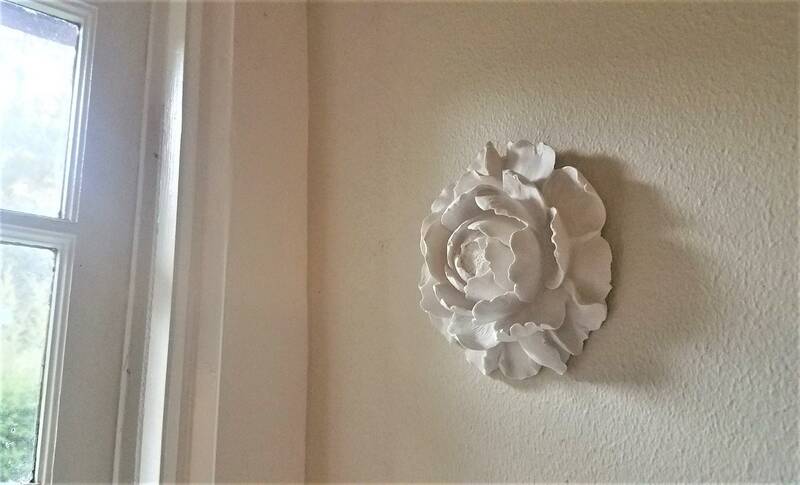 This Peony blossom is beautifully rippled and makes such a simple, lovely statement piece on any wall. Measures 4.5" across and 1.5" deep. Comes outfitted with a wall hook in stalled for no fuss hanging. 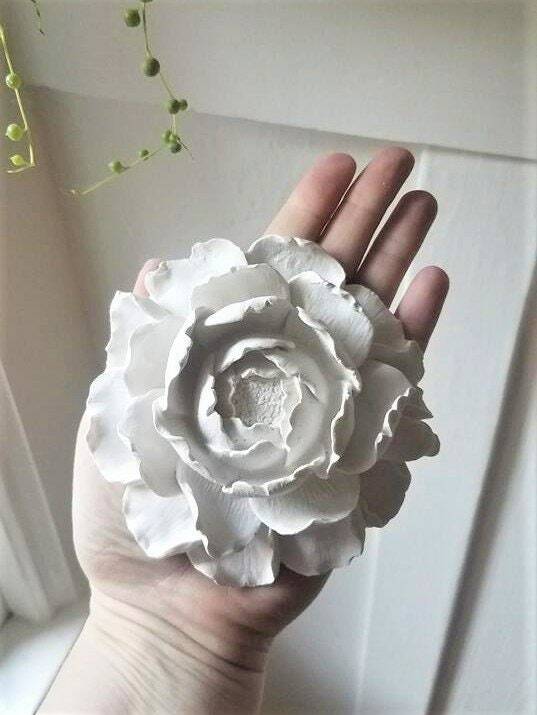 Shown here in matte white, happy to make your flowers in any colors you like... see the options and send me a message for any custom requests. 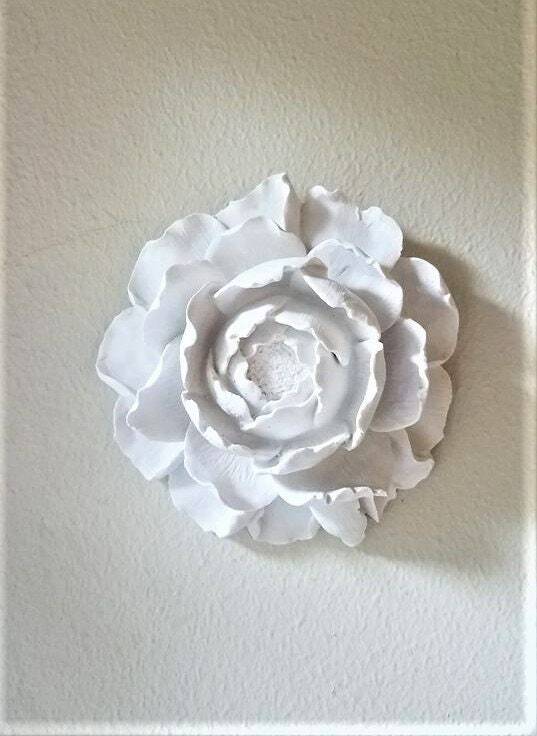 Check out my shop for more beautiful floral decor ideas! 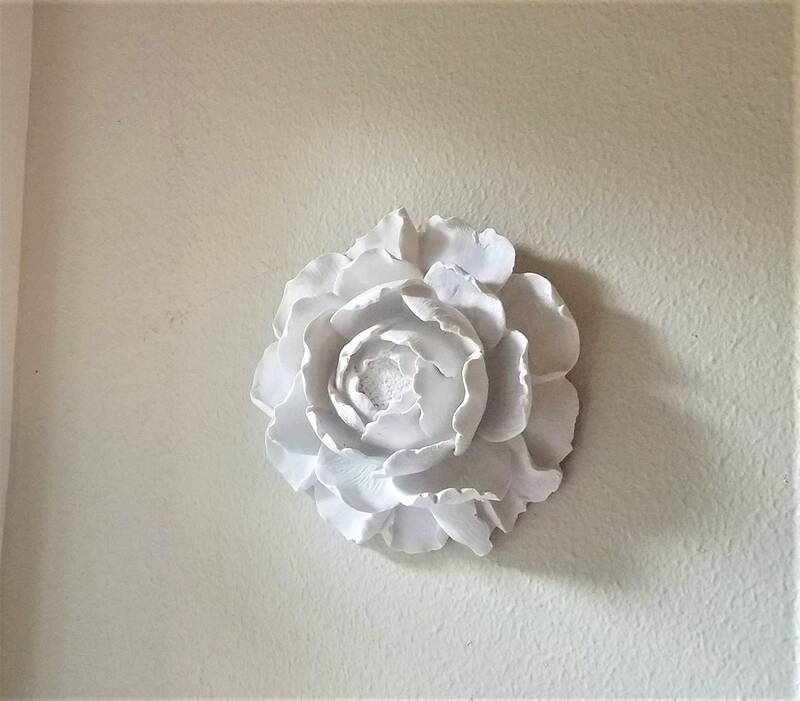 Received wall flower, packed securely, looks beautiful, well made, satisfied with purchase, thank you!